WordPress entrepreneur Brad Touesnard announced on his blog today that he has shut down his premium plugin marketplace project, WP App Store, which has been in the works for roughly two years. The last change made to WP App Store was over two months ago, and with no plans for future changes, the project was stagnating—neither growing nor evolving. On finally making the decision to pull the plug, Touesnard confides that the choice wasn’t based on numbers, but on more of an entrepreneurial instinct. In his comprehensive and insightful blog post titled Why WP App Store Failed, Touesnard breaks down every aspect of the project that he thought was problematic. Chalking it up to a great learning experience, his attitude is positive. I think with a marketplace like WP App Store, people might feel like they’re not getting the full picture because it’s not *the* WordPress app store. But the WordPress.org plugin repository only allows free plugins. So there is no single place for consumers to go to see all plugin options. It’s not like the iOS App Store, for example, which contains all of the iOS apps in one place, and one place only. With this in mind, you would think WP App Store would have filled a void. WordPress users could go to the WordPress.org repository for free plugins, and then to WP App Store for premium plugins. But it’s not that simple. I don’t think that it’s a problem people have that’s significant enough. People are already in the habit of going to the repository first to search free plugins, and then Googling the premium plugins (or hearing about them word-of-mouth), based on their specific needs. This method is working for people just fine. So, when it comes down to it, the need for a middleman like WP App Store just isn’t there. I think the biggest thing I learned is just to be more cautious about what people say that they want versus what they need. Another “mistake” Touesnard cops to is one of the choices made during his partnership with WooThemes. To give a little context, he developed a snippet of code that embedded an installer into themes. 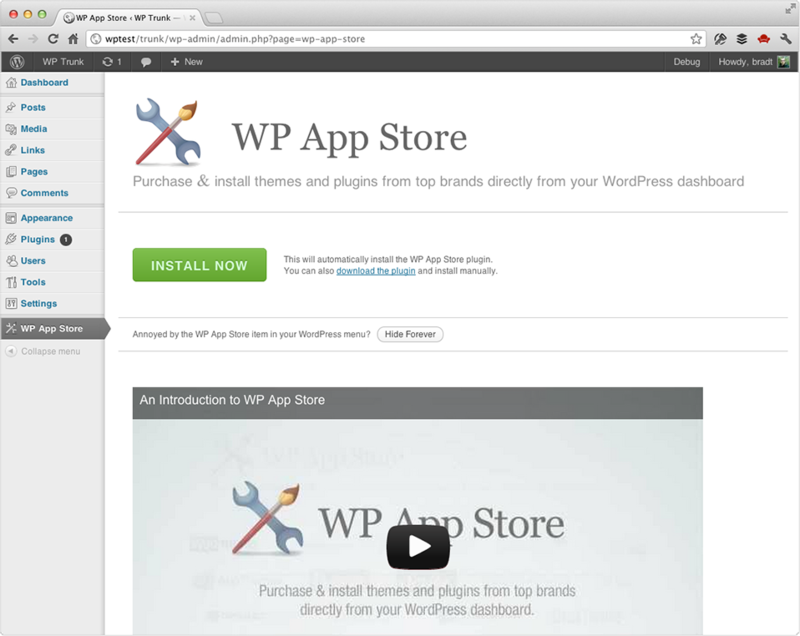 WooThemes agreed to add it to all of their themes, making WP App Store one click away for its many customers. Unfortunately this strategy didn’t pan out. Many of WooThemes’ customers were alarmed when WP App Store appeared in their dashboard, some even jumping to the conclusion that they had been hacked. WooThemes dropped the code, understandably, to avoid further customer confusion. Looking back, Touesnard thinks that if the placement was different—if the WP App Store menu item was tucked under the WooThemes menu item—people probably would have understood that it was part of the theme. He thinks this minor detail could have changed the outcome. Seems like such a subtlety, though, and how could he have predicted that reaction? Another strategy was to approach shared hosting companies for collaboration. At first, companies showed a lot of enthusiasm. But they all ended up pulling back, some saying they wanted the product to have more traction first. But the product needed a chance to get that traction by partnering up with a hosting company. Catch 22. Whether it was overestimating the need for the product, missing the mark with WooThemes, or not getting a break with any hosting companies, WP App Store has voluntarily called it quits. 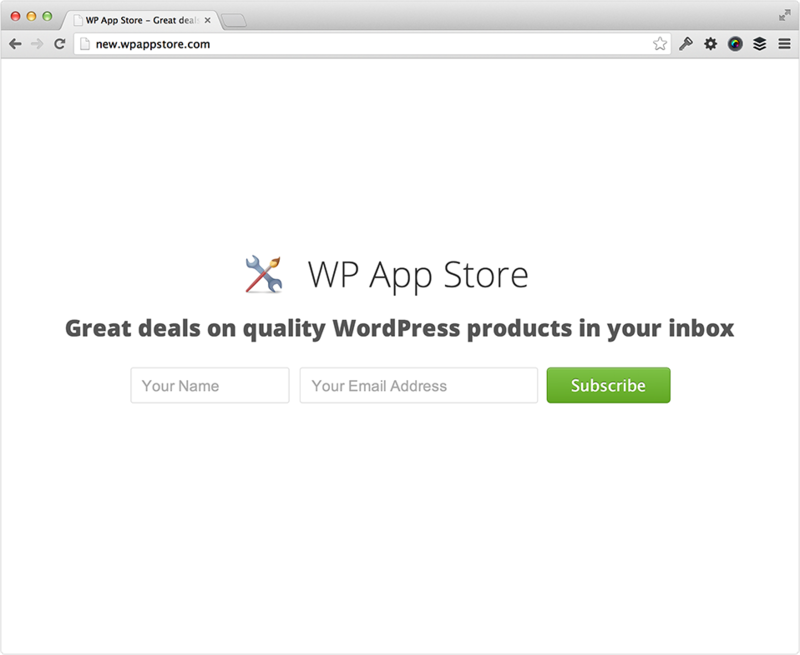 Silver lining: WP App Store’s mailing list has been rebooted and will be offering exclusive coupon codes for quality WordPress products to all of its members once or twice a month moving forward. Touesnard’s company, Delicious Brains, is focusing on other projects like WP Migrate DB Pro. He’s also producing a development-specific WordPress podcast with plugin heavyweight, Pippin Williamson, called Apply Filters, which has received rave reviews. It’s hard to know when to throw in the towel. Anyone else have an experience similar to this one?